PINK, the women’s business media and events company, marks its fifth anniversary with a major re-launch of its award winning website. LittlePinkBook.com offers career-focused tactics and strategies daily for women interested in greater equity and success. 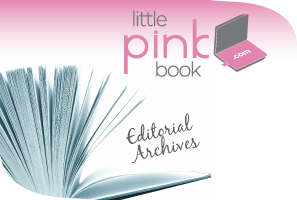 Filled with resources and articles featuring America’s most influential businesswomen, LittlePinkBook.com also gives women the chance to connect with one another via comments, blogs, TV segments, Twitter and other social media. Top brands advertising on LittlePinkBook.com and the daily e-note by the same name include Fed Ex, Georgia Pacific, American Express, Porsche, Office Max, Estee Lauder and The Home Depot. “The new site makes it easier for the highly engaged women decision makers in PINK’s community to access the information they need, and to connect with each other and advertisers that support women’s professional development,” says PINK Editor and CEO Cynthia Good. Created by the cutting edge web design firm Toolbox No. 9, the site offers content on topics ranging from business ownership to financial independence, career/leadership, life balance and style, along with exclusive profiles featuring top women in business. The site launch follows last year’s successful conversion from the printed PINK magazine to the digital format and daily Little PINK Book e-Note. Distributed by Delivra, more than 1.5 million e-notes go out monthly with 98 to 99 percent deliverability rate and reach career women across the U.S. and several other countries. What’s next? PINK holds its 6th Annual Fall Empowerment Event in Atlanta on Nov. 15. More than 300 women will turn out to network and hear success secrets from panelists including Newell Rubbermaid Group President Penny McIntyre, New York Times bestselling author Emily Giffin and Founder & CEO of Carol’s Daughter Lisa Price. Tickets are available online here!